So I sat thinking of what to make of as my first post, when I decided to put on my headphones, and blasting therein was the song by a Nigerian artist I’m yet to know. He praised government’s efforts in trying to develop Nigeria and push it forward. He also admonished them in some witty way. What he sang (he was actually talking all through with instruments playing in the background) was on the people’s readiness to do for themselves what the government has failed to do. It is on this that I picked an interest in writing this piece. We all know government cannot do for us everything it needs to do. Having this consciousness can take us a long way to actually think of how, or the positive ways to help ourselves, and even the government. This takes me back to the song I was talking about. There, the singer (talker) had told the government to just tell us the amount it needs, and we on our own would sponsor the project we want done. I will be basing my writing mostly on hypothetical situations and solutions. But of course, it would not be far-flung. Is it road construction? How much money is needed to push us forward in road infrastructure? We have a population of roughly 170 million. Imagine that we all gave our mite of N100, now, that’s 17 billion naira. That’s enough to construct major roads in our states. We know the state of our roads. 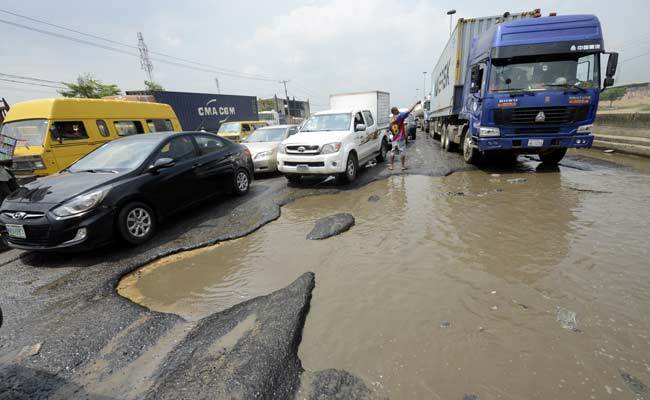 Moving around Nigeria and within states and local governments in the country, by road will certainly embarrass any average Nigerian. During the wet season the condition of the roads are even worse. So why not we do the needful? Another cause of alarm is the issue of internet access. In a country where mobile penetration is rapidly expanding, it is ironic that data usage still hovers around 38 percent. This is largely due to the high cost of data in the country. Considering this in the light of what I am saying and using the NCC’s statistic of users, over 100 million Nigerians make use of the internet. If only this number could give the nation a little amount, let’s say N50, we could make up N5Billion. This amount can enable us set up WiFi spots in Nigeria where unlimited access to the internet could be made for a month. Another point is that of water. It is generally believed that the four most basic needs of man are: air, water, food, and shelter, in that order. That water ranks second in man’s hierarchy of needs speaks volumes about its indispensability to life. Millions of Nigerians living in the 36 states of the federation have been battling with lack of access to clean portable water and sanitation which has resulted in major public health challenges leading to death of many. According to WaterAid, 57 million people in Nigeria do not have access to clean and safe water. Going by this, let’s minus this number from the total number of Nigerians. We have 113 million. Once again, imagine that 113 million people in Nigeria gave just 5 naira into this purse. That’s 565 million naira. That’s by far enough to restore pipe-borne water in the rural areas and other areas that lack it. These are just some handy points. More ideas have started kicking in your brains, I guess. Is it education, transportation, technology? But this is how, and also the way for us to begin making our country great. The law is but a king, and we the people are the boss! We are the government. We must remember that Nigeria belongs to all of us, and not just to a selected few, and it is in our interest to make it work. Previous articleKarolina Pliskova Sends The Williams Sisters Out Of The US Open! Heavyweight Champion, Anthony Joshua To Make Historic Visit To Nigeria. Finally, Floyd Mayweather Announces To Fight McGregor On August 26.